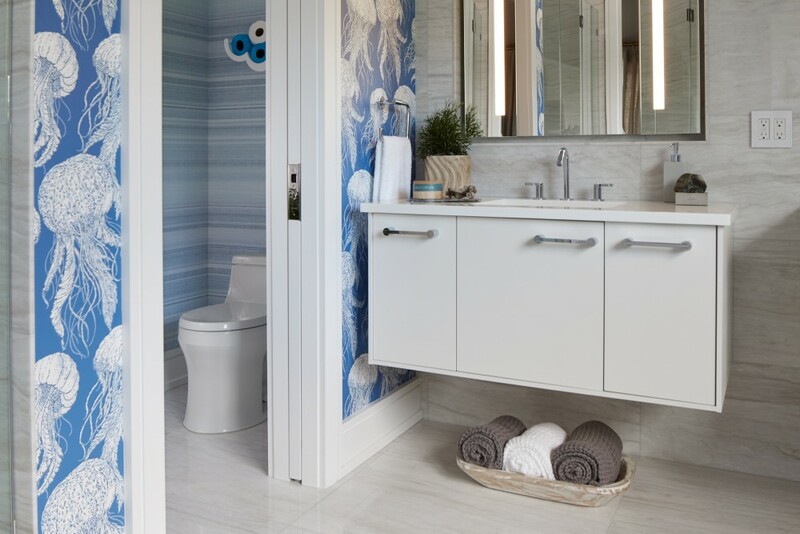 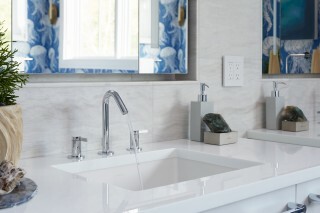 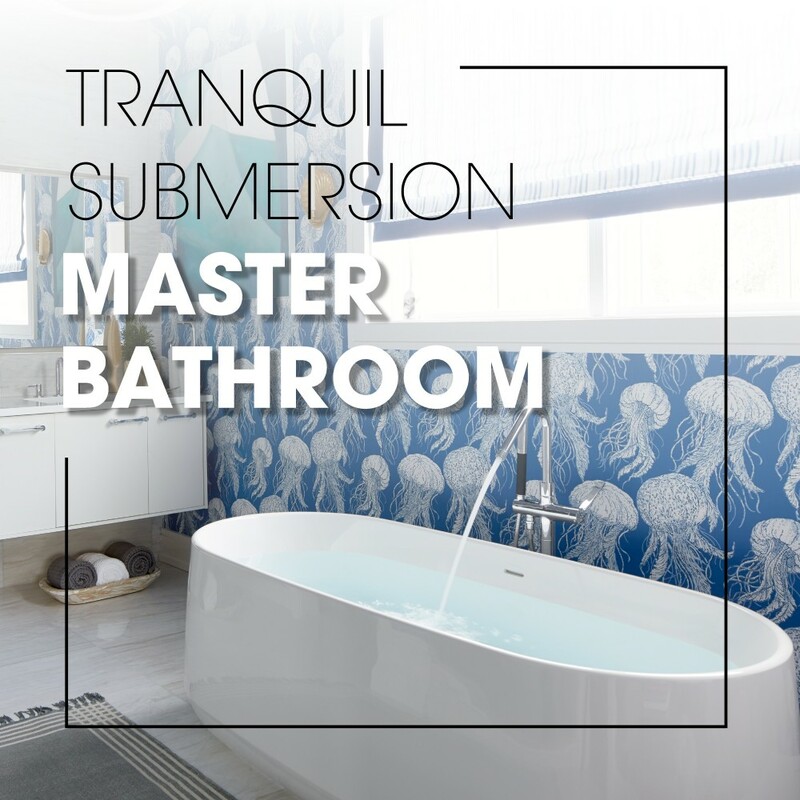 The 2018 Hampton Designer Showhouse master bathroom boasts a large floor plan that might have felt stark had it not been in the capable hands of Long Island native Susan Petrie. 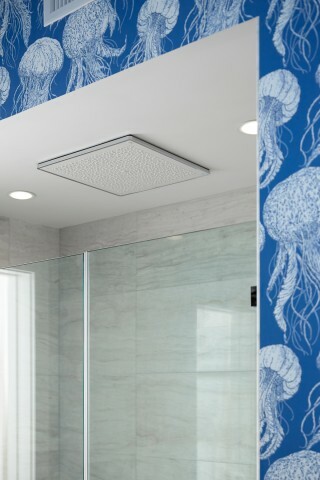 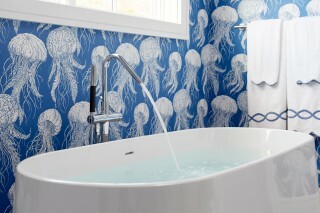 The playful jellyfish wallpaper immediately sparks a tone of whimsy to usher visitors into a relaxing experience. The wallpaper pattern is bold, but its repetitive nature remains sleek—extending it to the ceiling gives the illusion of being submerged underwater. 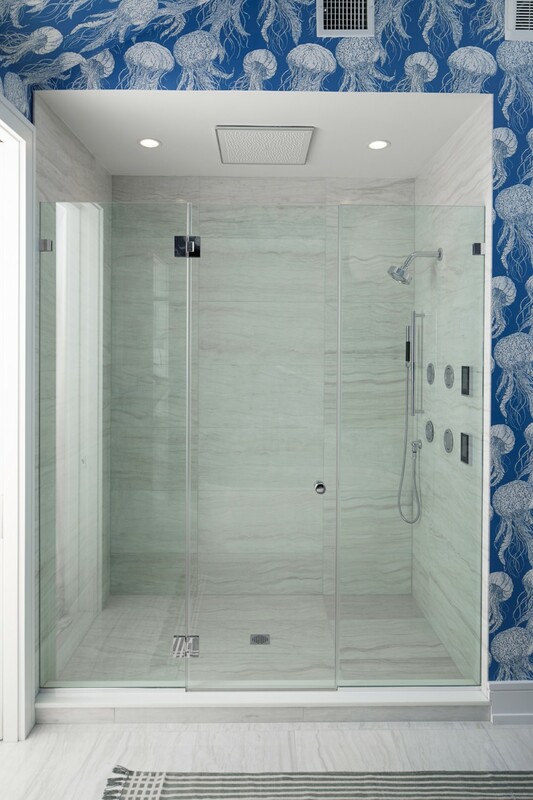 Petrie integrates high-tech upgrades such as KOHLER® DTV+™ and Real Rain® overhead shower panel to subtly turn traditional showering into a modern experience. 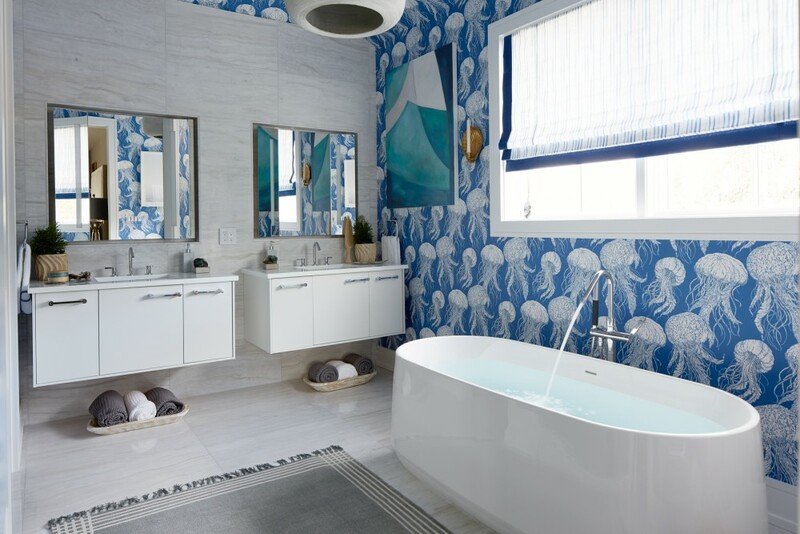 Her predilection for contemporary design with a twist is evident throughout the room, and Petrie makes a refreshing juxtaposition with chic city style in this beachfront property.